The Gay Cinema Video On Demand experience at TLAgay.com has your entertainment needs covered! We’re always working to expand selection of new and old gay-themed movies available for your viewing pleasure. Here’s just five favorites to watch this HALLOWEEKEND – ALL AVAILABLE INSTANTLY! These aren’t our TOP 5, by any means – just a handful of flicks we want to highlight. This Weekend’s VOD Favorites: An Extra Special (and Scary) Friday the 13th Edition! The Gay Cinema Video On Demand experience at TLAgay.com has your entertainment needs covered! We’re always working to expand selection of new and old gay-themed movies available for your viewing pleasure. As it’s FRIDAY THE 13TH (muahaha! ), we’re spotlighting TEN of our favorite gay-themed horror and thriller flicks – ALL available to watch INSTANTLY! These aren’t our all time favorites, by any means – just a handful of flicks we want to highlight that you can watch RIGHT NOW. 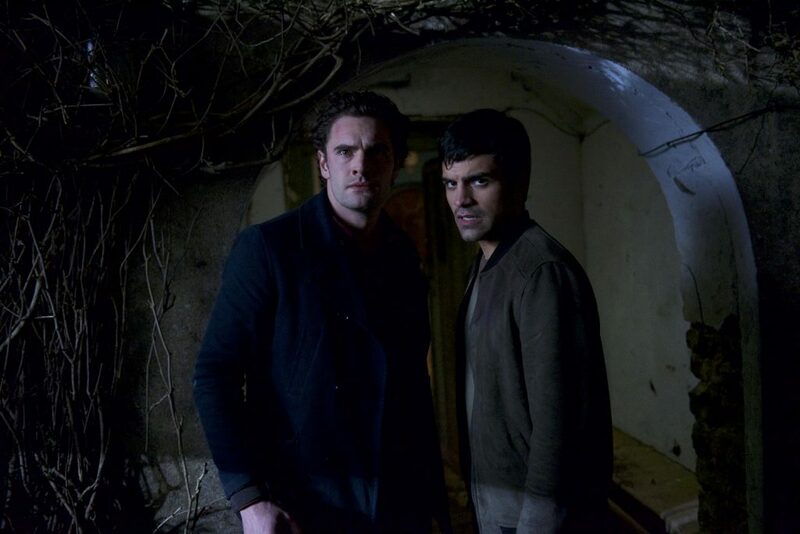 The new film B&B follows gay couple Marc and Fred (Tom Bateman and Sean Teale), who recently went to war when they were refused a double bed at a remote Christian guest house. They won their court case and now they’re back to claim their conjugal rights. Triumph turns to terror, however, when a Russian neo-Nazi checks in. Their weekend of fun soon becomes a bloody battle for survival. If you’re the same kind of scare-seeking movie geek that I am, you’ll know that October is a time to light a few candles, turn down the lights, open up the windows to let in that fresh autumn breeze… before really setting the mood with some seasonally-appropriate scary movies! This month, I’m sure we’ll revisit some tried and true classics (think The Exorcist, The Shining, Rosemary’s Baby, the original Halloween). I have plans to finally bust open the Criterion Collection edition of Don’t Look Now I bought forever ago. Being authorities on all things gay-cinema, though, we at TLAgay.com wanted to put in a good word for some queer movies that don’t make the usual ranked horror lists. 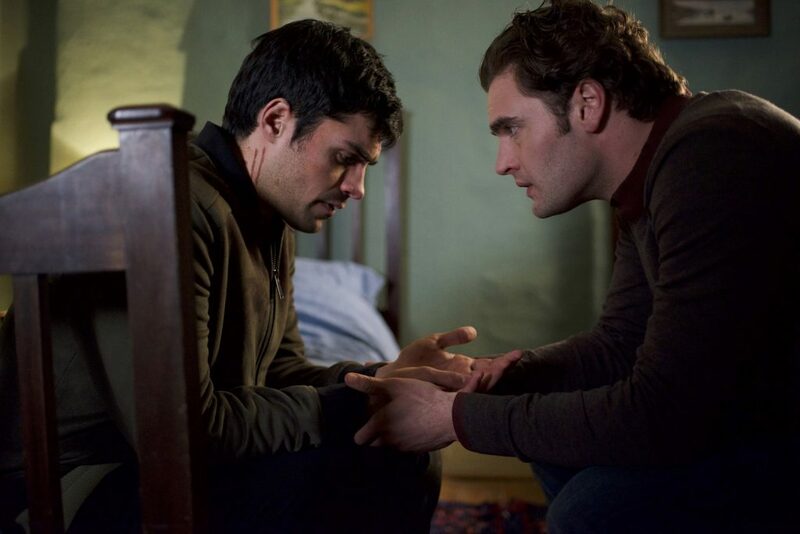 We came up with a selection of 50 different gay titles that are either direct horror movies or horror adjacent (suspense, mysteries, thrillers). Below, you’ll find the first ten movies – in alphabetical order – with new lists appearing each Monday in October. Keep checking back each week for the latest additions!